An undated photo of sun rays peeking through Southern California trees. SAN FRANCISCO -- The California Independent System Operator, which manages the state's power grid, issued a statewide Flex Alert that will be in effect from 1 to 10 p.m. Friday, calling for voluntary electricity conservation. "Consumers are urged to conserve electricity during the afternoon when air conditioners typically are at peak use. Consumers can help avoid power interruptions by turning off all unnecessary lights, using major appliances before 1 p.m. and after 10 p.m., and setting air conditioners to 78 degrees or higher," the California ISO said in a statement. VIDEO: What is a Flex Alert? So a Flex Alert has been issued in California amid a heat wave, but what exactly does that mean? 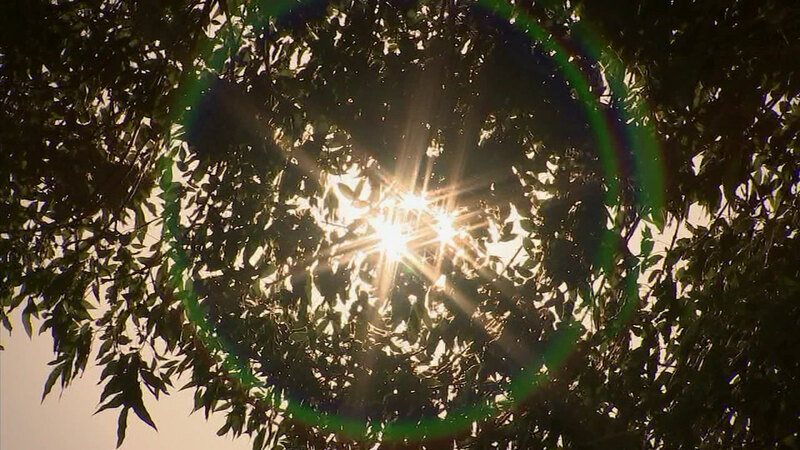 The alert comes as a heat wave continues to scorch the Bay Area. Many regions are expected to see triple-digit temperatures on Friday. And a Spare the Air Alert is in effect Thursday and Friday. For electricity conservation tips, visit www.flexalert.org/save-energy. Click here to watch the latest AccuWeather forecast, and click here to download the ABC7 News App to get your weather forecast on the go. And make sure you enable push alerts for immediate notifications and severe weather alerts.